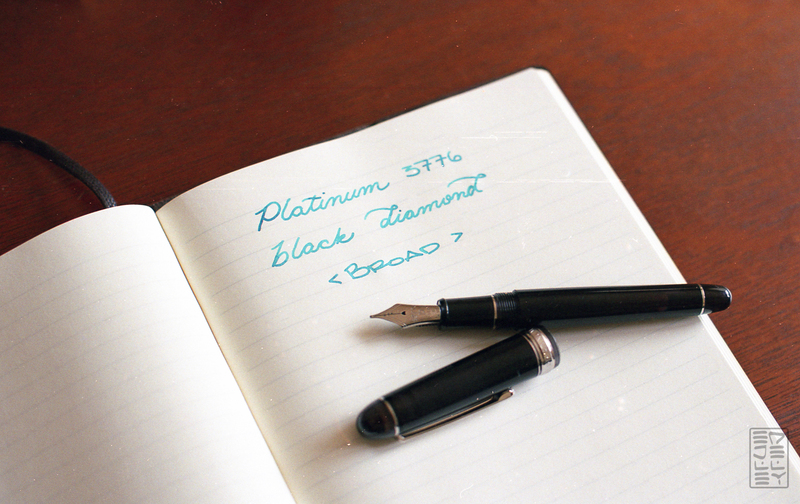 Description: A 14k nibbed, translucent black pen with a unique slip and seal cap mechanism to prevent drying out. First off, I want to say that this review is different from all of the other reviews on the site. The images you see throughout the post were all shot on film (Kodak Gold 400, with a Nikon N50 and 50mm 1.4G lens) and scanned with minimal color correction. Since we’re all here for analog writing in all its glory, I wanted to take it one step further. It was definitely a cool feeling to finish off the roll of film, hear it wind up, and take it out of the camera knowing that there were physical negatives of a review in there. It made me shoot the review much more carefully, as it does end up costing an extra bit of money and effort in doing so. That being said, I enjoyed the process and I’m definitely going to be playing with film more in the future. Anyway…on to the pen! The Platinum 3776 has always been in my sights, but I’ve always opted for another pen in the price range before jumping at this one. Why? I’m not so sure, maybe it was the gold furnishing? When the Black Diamond came out, I was definitely more intrigued. The translucent black body and rhodium trim is super classy, and just muted enough to grab my eye. It looks awesome right next to my Sailor Pro Gear Imperial Black and Lamy 2000. There are plenty of things I love about the pen, some I like, and even a few I’m not so huge on. Read on to find out how the 3776 fared! Platinum 3776 Black Diamond over for review! The 3776 comes in a nice presentation gift box. It’s nothing crazy, and nothing in the packaging implies that the Black Diamond is any more special than any of the other 3776 models. The pen itself is a rather classic looking cigar shape, having been in production in a similar form since the late 1970’s. Theres nothing extraordinary about the pen, but it looks great. The cap and tail are nicely rounded, resulting in a tapered cigar shape. 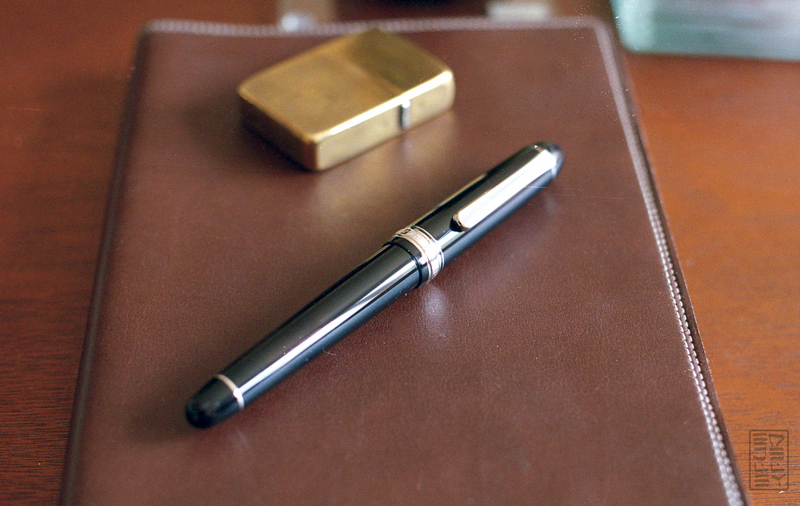 Inside the cap is Platinum’s unique “slip and seal” technology to prevent the pen from drying out. Essentially there’s an internal cap that creates an airtight seal with the grip. Above the internal cap is a spring, which ensures that there’s a tight seal. Over the course of using the pen, I haven’t noticed any drying, but I haven’t exactly let this one sit for extended periods of time. I really like the simple look, especially with the silver trim and ever-so-slightly see through black body. The translucency of the cap and body are only visible in bright light, or when backlit. I think it’s the perfect balance of being “translucent” and “full on demonstrator” – it’s understated just like the rest of the pen. The cap band has some text imprinted on it, and it’s bordered by a thinner band on the top. Overall, I think it’s an awesome looking pen. 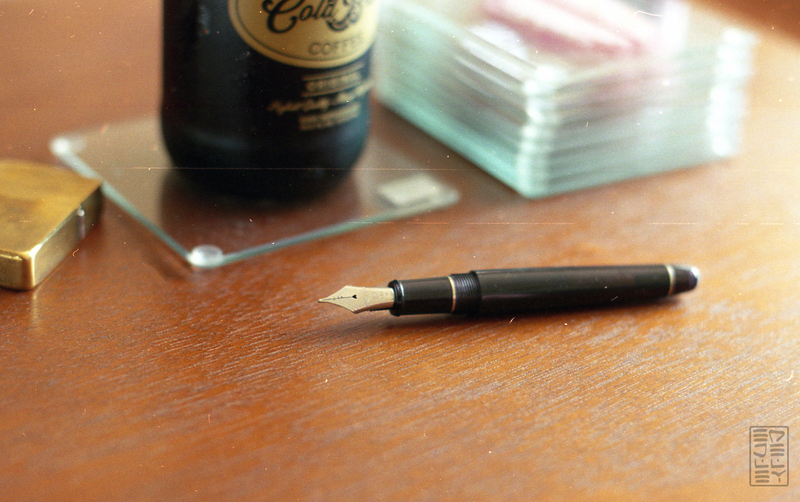 The Japanese broad nib is smooth, wet, and just a tiny bit springy. In my opinion, it’s an ideal nib. The line width is similar to a Western medium, which is right inside my comfort zone. The writing on the nib looks rather plain, and I’m not a huge fan of the typeface used on it. The rest of it is quite cool though, I really love the heart-shaped breather hole and lines that run around the perimeter of the nib. 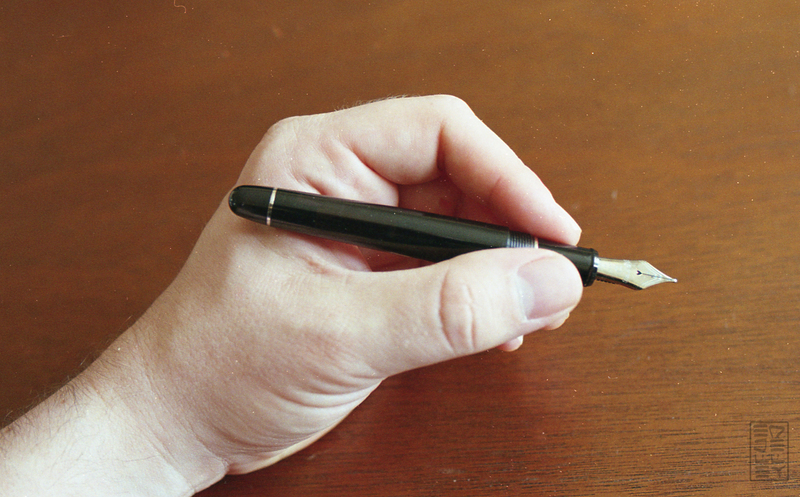 The size of the nib fits the proportions of the body well, not looking too big or too small. The 3776 fills via converter or proprietary cartridge. The included converter is high quality, and has a decent capacity. I really wish that the gold accents on the converter were silver, so they’d match the rest of the pen…oh well. 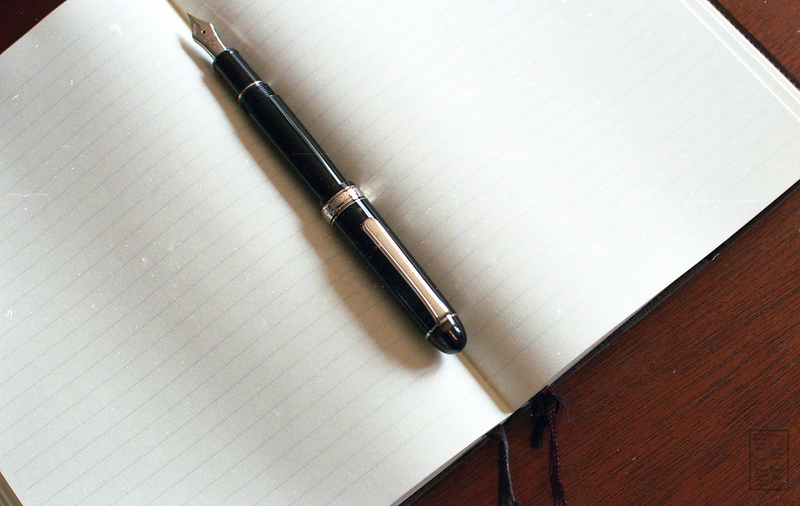 The pen is definitely comfortable to write with for extended periods of time. Actually, I’ve had a hard time putting it down… I’ve only kept a few pens inked up over the past month or so (I bought my first house, moved, did a bunch of freelance work, man I’m busy) and this pen I’ve actually refilled as soon as it’s emptied every time. 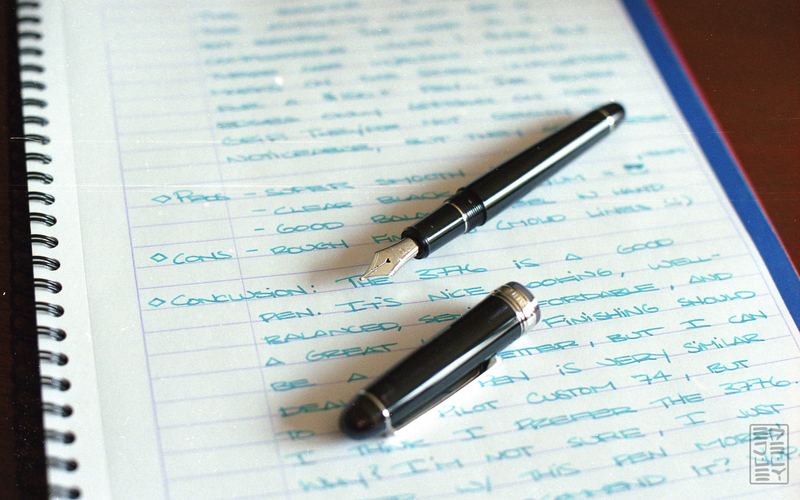 The pen is comfortable posted or un-posted, but I prefer writing with the cap on the back. It adds a nice amount of weight and balance without throwing off the feel of the pen. The one thing I’m not thrilled with is the finishing of the pen. For a $150+ pen, the finishing should be as close to flawless as you can get, but that’s not the case. 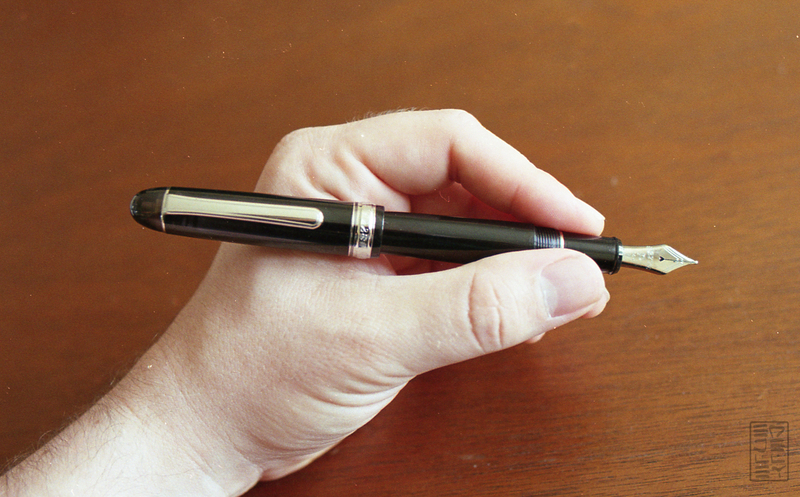 The grip of the pen has some very obvious manufacturing lines from injection molding. They’re not terribly noticeable when writing, but just knowing that they’re there irks me. The rest of the pen has no noticeable issues, perhaps they just crank out the grip sections on different machinery and just call it a day. It’s not a make-or-break issue for me, but definitely worth noticing. The 3776 is a good pen, but it doesn’t really achieve greatness. 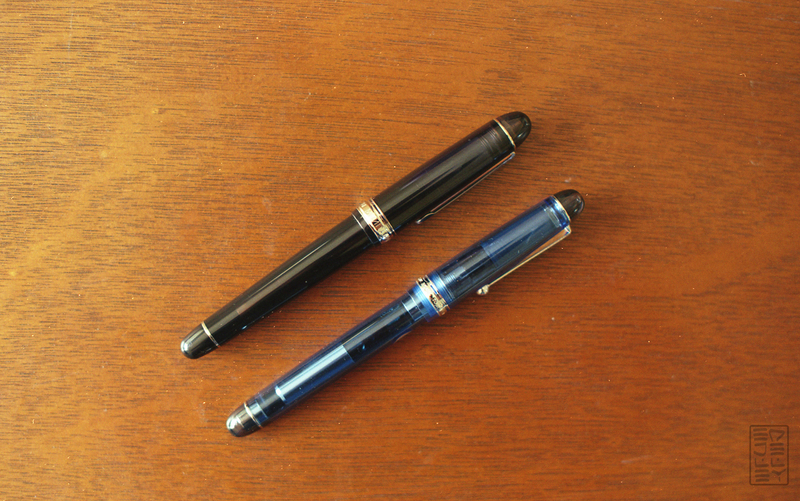 The picture above shows it next to Pilot’s Custom 74, which is very, very similar. 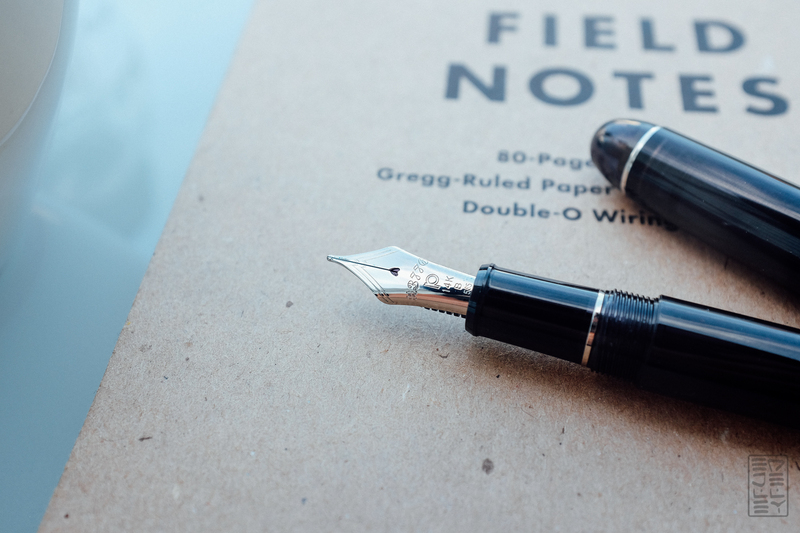 I prefer the build quality of the 74 is just a bit more, Pilot tends to have excellent finishing. The nib on the 3776 is great though. When it comes down to it, I slightly prefer the 3776. Why? I’m not sure, but I find myself reaching for this pen more often than any others at this time. Would I recommend it? Absolutely. Thanks again to Pen Chalet for sending this over to review, if you’re interested in picking one up for yourself, check out the product page for more info! thanks for sharing. i’ve been thinking of getting one with the rhodium trim, as i’m not a fan of yellow gold anything. but wondering if the translucent barrel is ‘translucent’ enough to see through the inside mechanism. 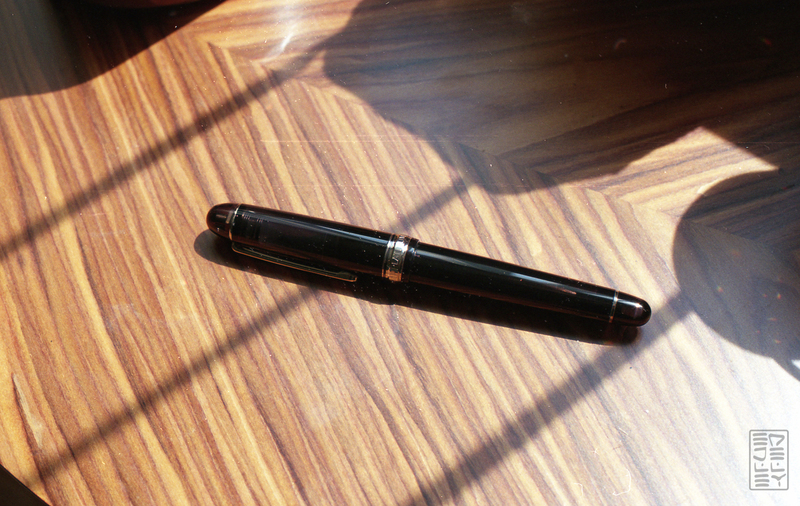 i have never seen this pen in up close in person, but from the many pictures i have seen online, the black color seems very dark. as you mentioned in your review, the translucency only visible in bright light. this makes me hesitate in ordering one. and another thing, you mentioned about the rough finishing on the grip section. considering how i hold a pen to write, i think i might ‘feel’ the roughness. i have ordered Platinum #3776 Century Nice, but have yet arrived. now i’m wondering if this pen would have a similar grip finishing as the Black Diamond. This pen is definitely slightly translucent, and a long way off from being considered a demonstrator. 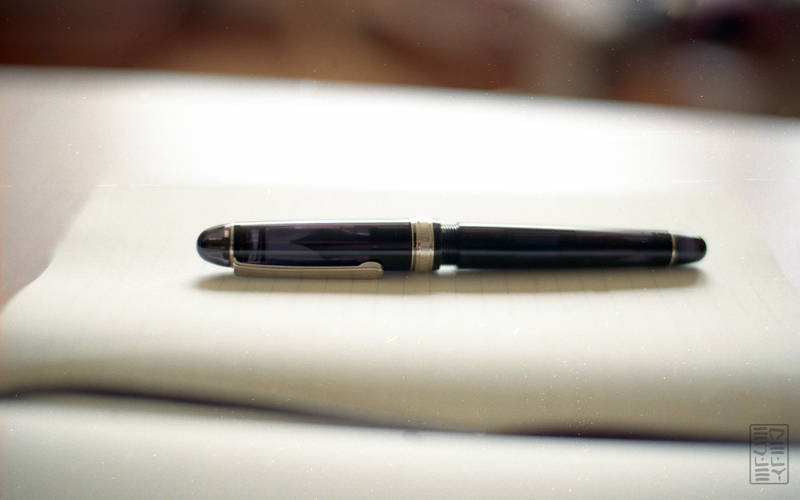 The pen itself looks great, especially with the rhodium trim. The grip has two small injection molding lines on it. Honestly, if you’re not really looking/feeling for them, you shouldn’t be able to. They’re there, but not a dealbreaker for me. thank you for the insight. i shall see if i like my 3776 Nice before i shall consider getting a 3776 Black Diamond.